What to Do If iPhone Deletes All My Music? iPhones are known to be great and advanced technology wise and are amongst the most excellent devices currently on the market. However, technology is always flawed, and even the most potent iPhone will have some bugs. One of the most frustrating thing that can ever happen is when your iPhone completely deletes all your Music. Other times it might occur if you sync your iPhone with a different iTunes or even when you change the iCloud sync settings and storage. If this happens to you, here is how to get it all back. iMyFone TunesMate is a iTunes alternative that can be used either by Windows or Mac. It is known to overcome most iTunes errors and restrictions. It is a very easy to use application which lets you manage your music in a two-way transfer by just dragging and dropping. With TunesMate you can sync iTunes between your computer and iDevice, rebuild damaged iTunes libraries and even get your music back on your iPhone in case, it got deleted. Can support a two-way transfer between iPhone and PC/iTunes which gives room to enrich your music collection with no limitation. 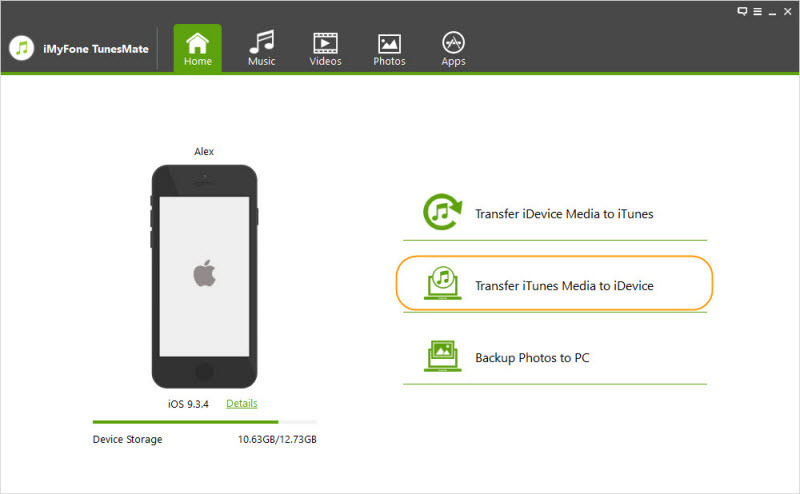 Can transfer media content to iPhone without deleting any of the old files. 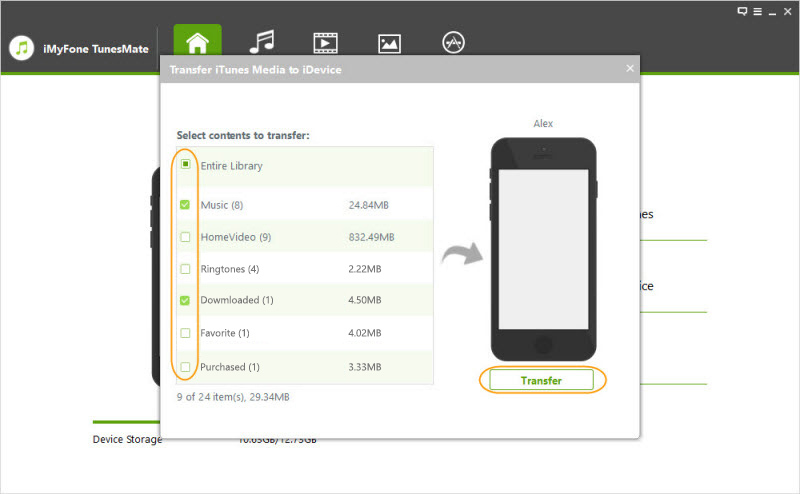 Can transfer and manage apparently all kinds of music files including music, playlists, podcasts, etc. Can restore lost/damaged/corrupted/deleted iTunes music library. Step 1: Launch iMyFone TunesMate on your PC/Mac and connect your iPhone using a USB cable. Step 2: Click "Transfer iTunes Media to iDevice" on TunesMate home interface. Step 3: Check all the media content you want to add to your iPhone to confirm the files to add and then Click "Transfer" to begin the process. Step 4: Once the transfer is complete Click "OK."
Step 1: Launch TunesMate and connect the iDevice which you want to copy music from. Step 2: Click on the “Music” icon to open the music window. Step 3: Tick the songs you want to export and click “Export > Export to PC” from the top menu. Step 4: When a window pops up, use it to navigate to the target folder on your PC and then tap” OK” to begin the export process. Step 5: After the export is successful, disconnect the iPhone you were copying music from and connect your iPhone. Step 6: Go back to the music window and tap “Add > Add File/Folder” to transfer the music you have copied to your PC. Step 7: Navigate to the folder which contains the music files and select all or the specific files you want to add to your iPhone. Step 8: Once done then click “Open” to transfer the selected songs or folder to your iPhone. Step 1: Launch the iTunes application on your computer and then connect your iPhone using a USB cable. Step 2: Once your device is detected select it and then click on Summary in the left sidebar menu. 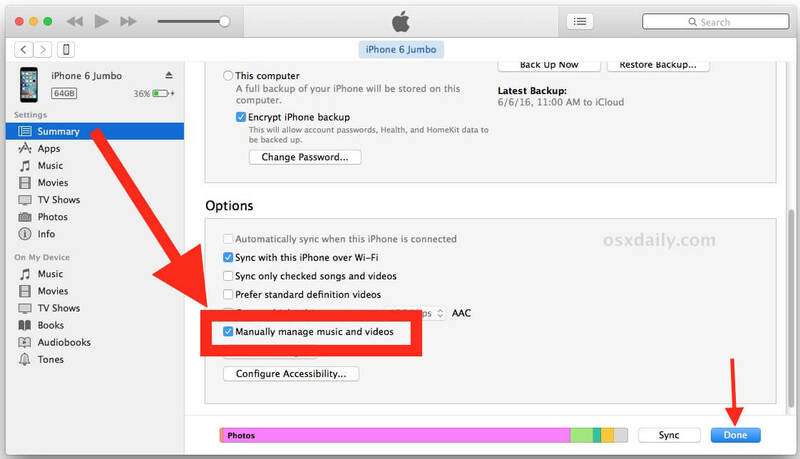 Step 3: Then navigate to the options section and check the “Manually manage music and videos” box. Step 4: Once you have done that, then you can add the deleted music back to your iPhone from PC by just dragging and dropping. Once you finish the process, you will have the deleted Music library back to your iPhone.